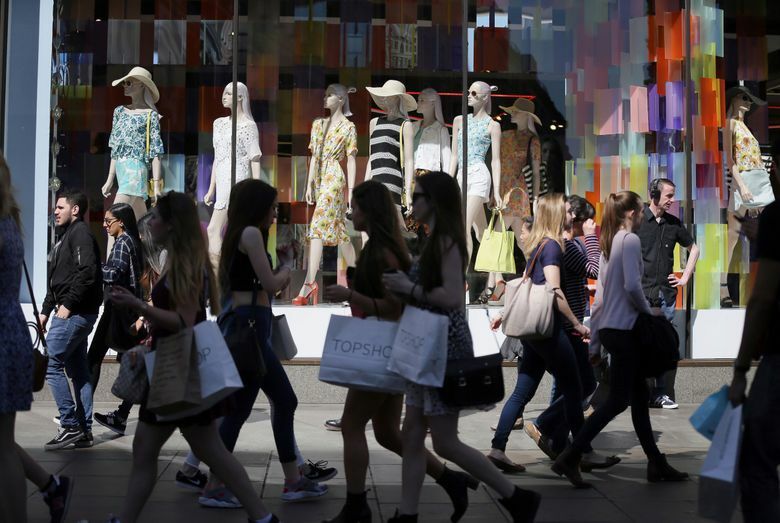 LONDON (AP) — Britain’s economy picked up slightly in the three months through September, official figures showed Wednesday, making it more likely that the Bank of England could raise interest rates next month for the first time in a decade. The economy, which has this year been the slowest among the Group of Seven industrialized democracies, grew by a quarterly rate of 0.4 percent in the third quarter, the Office for National Statistics said. That’s still relatively weak but was just above economists’ forecasts for a 0.3 percent rate. The increase could persuade the Bank of England to raise its main interest rate from the record low of 0.25 percent at its next meeting in November as it tries to bring down inflation, which is currently running at 3 percent, a full percentage point above the official target. The central bank’s dilemma has been that the British economy has weakened this year as inflation hurt consumer spending and Brexit uncertainties weighed on business confidence. Higher rates can help rein in inflation but are likely to also weigh on growth. The pound rose sharply on the release of the figures, reflecting increased expectations by investors of a rate increase. By late morning in London it was up 0.8 percent at $1.3244. Darren Morgan, the head of national accounts at the ONS, says third quarter growth was driven by the services industry, in particular by increases in IT, as well as car sales and retail. Manufacturing activity also boosted the economy. The figures will buoy Treasury chief Philip Hammond, who is preparing to release the budget next month. A faster-growing economy will boost tax revenues and projections for cash flowing into government coffers, giving Hammond more wiggle room in spending. Economists, however, cautioned that the figure was hardly robust. Economist Howard Archer of the EY ITEM Club, said the near term outlook looks “challenging,” because of the ongoing impact of Britain’s pending departure from the European Union. The country is struggling to progress in its EU divorce talks, delaying crucial negotiations on future trade relations with the rest of the EU. That is causing anxiety among many businesses, which this week wrote an open letter to the government of Prime Minister Theresa May seeking greater clarity on the country’s future. “Consumer purchasing power is still being squeezed appreciably while business concerns and uncertainties over Brexit are likely to limit investment,” Archer said.